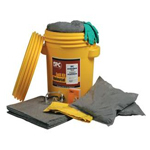 Universal Absorbents Pads, Booms, Spill Kits, Socs, Pillows! 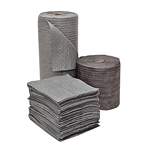 Bonded, high performance all purpose absorbent pads and rolls. Great for oil and water based liquids. Excellent for industrial plants, machine and maintenance shops. 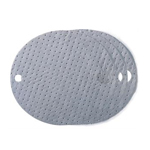 Any These high performance absorbent pads are dimpled to soak up more liquids in less time. Bonded for strength and high absorbency. 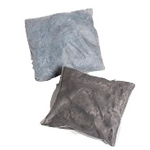 Dirt masking gray color fosters longer use before disposal. Lint-free absorbent for all applications. 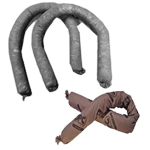 The favorite for industrial applications. 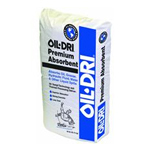 Use these absorbent pads where aggressive and non-aggressive fluids are present.